News > Monkey Business 3.15.37 Release - upgrade today! Monkey Business 3.15.37 Release - upgrade today! 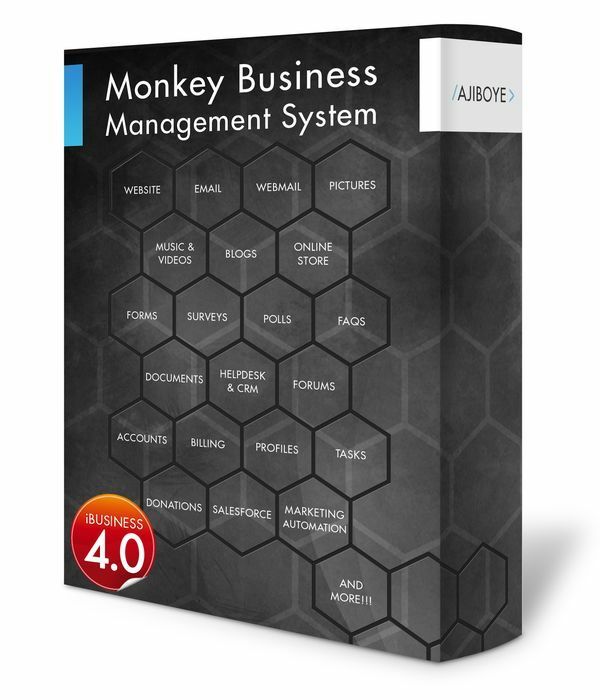 Greenwich, CT — Friday, April 10 2015 — AJIBOYE is pleased to announce the release of Monkey Business 3.15.37. Quick localization setup. Set your business / website country, language, currency, and date information. Activation control options for anonymous browsing. Activation control options for simulated flash navigation animation. Disable anonymous browsing - Require your website users to create an account before they can access otherwise publicly accessible portions of your website. New account approval workflow - New option in the Account Types Manager. New accounts are automatically appropriately tagged. Use tags to find and filter accounts in the Accounts manager. Approval Status integrated into the Accounts Dashboard. Easy approval process. Support for PURCHASE ORDERS, checkout and order management. Fixed bug in aid= style tracking for salesforce linked resources. Fixed bug in extracting search engine keywords used to find the website for specific search engines including bing.com, duckduckgo.com and others. Add support for 50 new search engines.